As you well aware due to globalization all works has been very competitive and it is helping us to exchange of knowledge and standards, in this scenario Chinese works are having more impact and competition throughout the world. Now it is very essential to know the Chinese standards and how it is indicated in drawings. Let us discuss how to identify and compare with our standards. 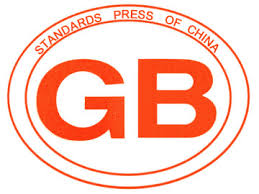 All Chinese standards are having prefix GB like IS for Indian Standard, JIS for Japanese. For Construction related works and other works different Chinese standards are followed, which are listed below. Chinese standards for General structural steel (including chequred steel) is GB/T 700-2006. Grade of materials available is Q235 (A/B/C/D); Q275 (A/B/C/D). For Steel section Channel is mentioned as "C"; Angles are mentioned as "L" and Beams are mentioned as “I “or “H " followed by number. To find out the size of section is number multiple by 10 is the size of member. For Example C16 means Channel 160 mm depth. Similarly H10 means H section 100 mm depth. If the same size but width or flange size is different then suffix a, b, c is shown. For example C20a & C20b, Both are 200 Channel however flange is 73 and 75 mm respectively. C20a means Channel 200 X 73 and C20b means Channel 200 X 75. Dear all, i need for steel price in day by day on updates. please advise which is web site is accurate.